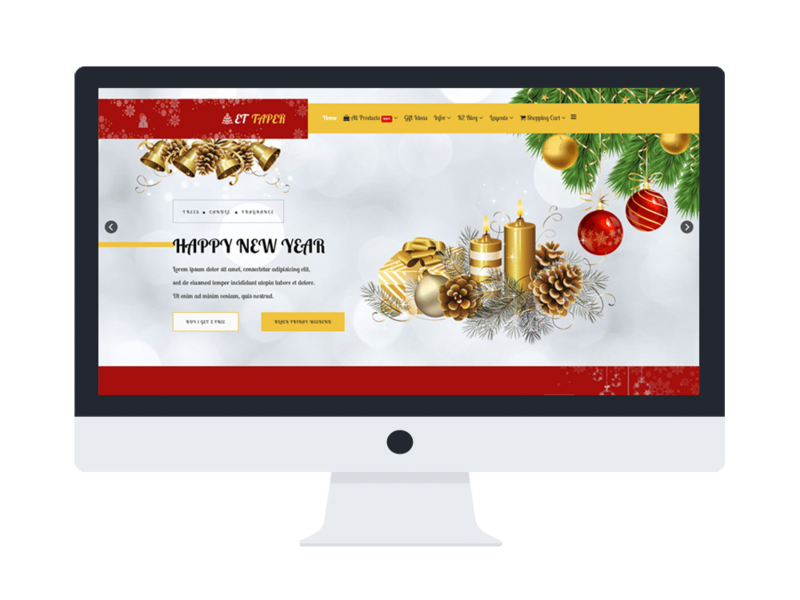 ET Taper is a fully responsive and beautiful Xmas WordPress theme to help you create a lovely look for your site without any effort! Coming with the gorgeous appearance and powerful features, ET Taper is promised to be a good choice to go with if you want to attract more customers to your online shop. Developed with experienced web developers and latest web technologies such as Genesis Framework, Smart Slider, SiteOrigin Page builder, this theme will not let you disappointed with its usage. The content of this template is well-organized and eye-catching, viewers cannot take their eyes off of your site in a short time. Plus, ET Taper also has an outstanding look on mobile device, therefore, visitors can access your site whenever and whatever device they use, conveniently. Enjoy the great theme now!